What were they thinking in Cleveland? Real estate developers built more than 21 million square feet of new store space in the Northeast Ohio metropolitan area from 2000 through the first three months of this year, increasing its retail footprint by 21 percent. But while the new stores were moving in, the shoppers were moving out. The metro area’s population declined by more than 90,000 over a similar period, and it became a stomping ground for students of the dying American mall. 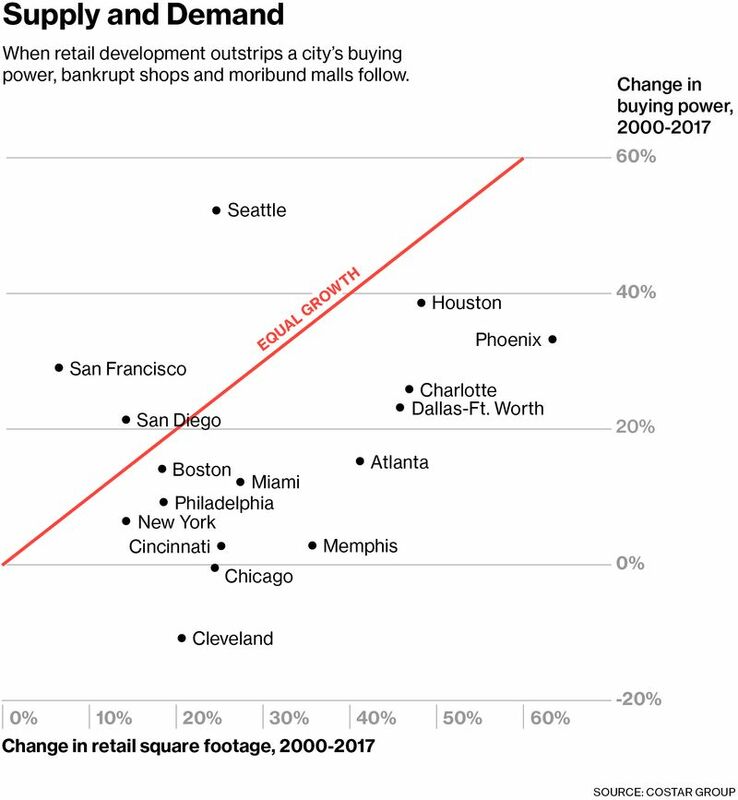 Across the U.S., retail real estate development that outpaced demand marked the early years of the new millennium. Now retailers are going bankrupt at a record rate, and hedge funds are betting against the commercial mortgages used to finance mall properties. Credit Suisse this month predicted that as many as 275 malls, a quarter of the U.S. total, will close in the next five years. The woes of brick-and-mortar retail come partly from the rise of e-commerce, which has grown to about 8 percent of retail sales, from less than 1 percent in 2000. But they are also self-inflicted, according to Suzanne Mulvee, director of research at CoStar Group Inc. The industry built new stores faster than the consumer could spend at them. 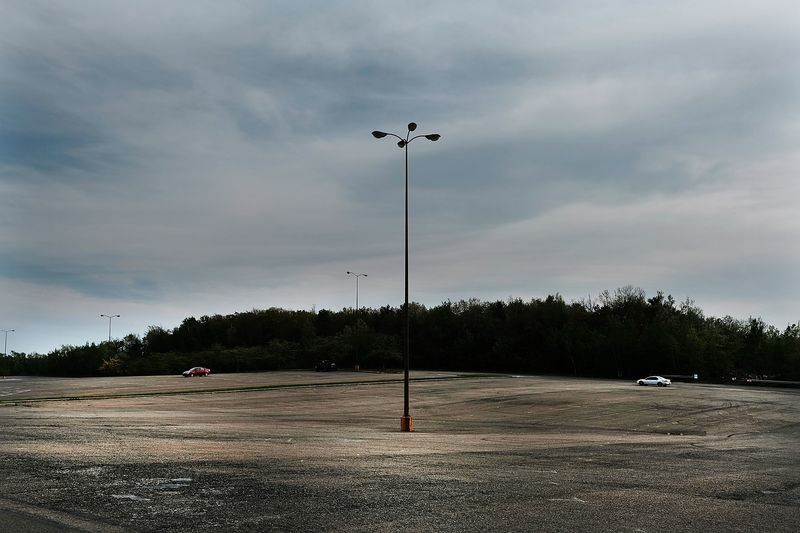 A parking lot at the Schuylkill Mall in Frackville, Pennsylvania, which is scheduled to close in the coming months.